If you're like me and enjoy changing your appearance in major ways from time to time—I don't mean putting on the latest awesome hair from Truth, I mean transforming into something really different—then pop over to Delicatessen, where CapCat Ragu and meilo Minotaur have not only made a ton of cool avatars for you, but also they've made them available for free. 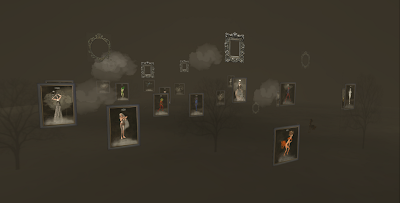 Delicatessen itself is a trip, but these "Meta_Body" avatars are just sheer delight, and a real gift to the Second Life community. I grabbed all of them (I count 18 unless I missed one! )—each is a complete package with shape, skin and all attachments. There's a Meta_Body flickr group, so be sure to post your images there, and don't forget to leave a tip at Delicatessen for these uber-generous creators! Hi Chestnut! My pleasure, and of course the sim itself is awesome—I'll have to write more about that.